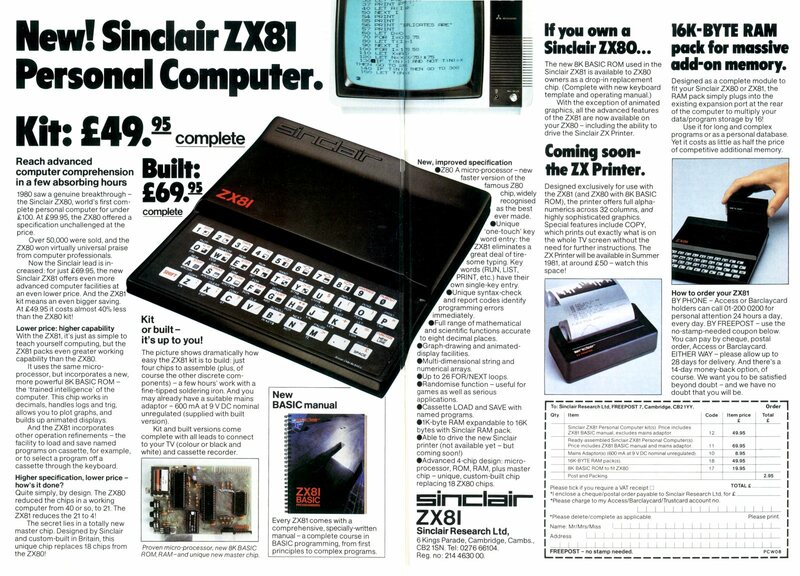 My first computer, a Sinclair ZX81, cost £69.95. Since then, every computer I’ve owned has cost more – usually substantially more. Until today. Today I bought a new laptop for £179 inc. VAT, which in real terms is less than my ZX81 of 27 years ago. Progress at last! And this one I didn’t have to plug into a cassette deck and an elderly black-and-white TV! 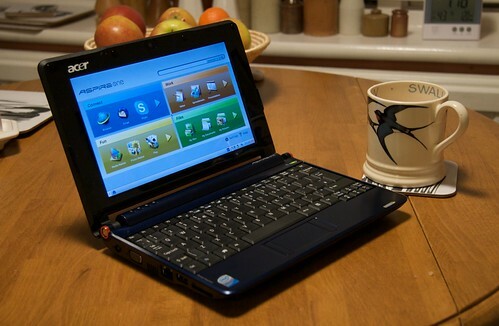 It’s an Acer Aspire One, and I have to say that, so far, I’m really impressed. It runs OpenOffice, Firefox, Thunderbird and Skype very nicely, and it includes a few things like a camera and microphone that work remarkably well – I’ve just had a video-Skype call with my pal Jason while walking around the house. Of course, it has some limitations – it boots up very much faster than any Windows machine I’ve ever seen but it’s not like a Mac’s almost instantaneous wake-up from sleep. I couldn’t write this post on it but only because it can’t read the RAW-format images from my SLR, and I couldn’t watch movie trailers on the Apple site because you can’t get Quicktime for Linux. But the number of things it can do rather well are remarkable, and I could happily survive with it for a weekend when I didn’t want to carry anything heavier, or use it to catch up on news at the breakfast table. It may not be a Mac, but it’s certainly not a ZX81!